I just got back from a five day mini vacation to New York. I was visiting my lovely lady Meg and we had an absolutely wonderful time together. Here’s some highlights of our adventures. One of the many beautiful views in Central Park. 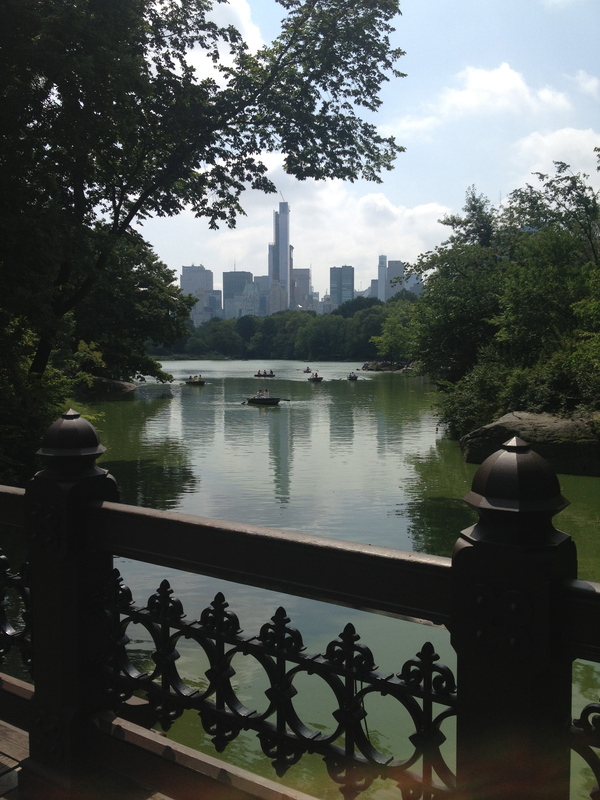 I began my adventures with a free walking tour of Central Park. It was a great way to get acquainted with what the park had to offer and it also landed me a free park map. This came in very handy as I proceeded to constantly get turned around during my wanderings. It was a perfect way to start my trip though. The sprawling fields, tall trees and pond were such a calming setting after my early morning travels. I think Central Park should be listed as one of the top places to go if you want to fall in love. A park in the centre of a city holds a certain kind of magic. Waiting in line for Pippin! 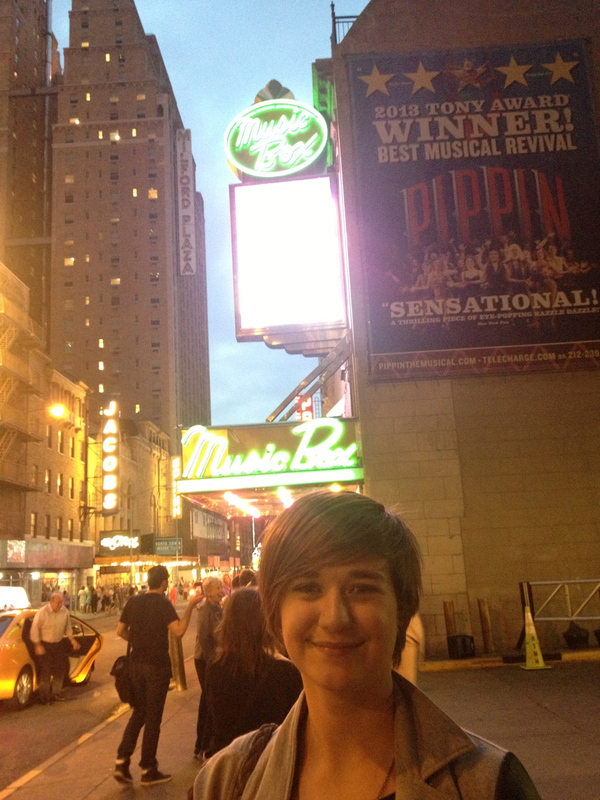 Once I finally found my way out of the park I headed down to Time Square to grab a ticket to Pippin. I then wandered around window shopping while I waited for the show to start. And what a show it was! The costumes and sets were stunning and the incorporation of acrobatics into the choreography was spectacular. Also, watching Andrea Martin sing No Time at All while performing a trapeze duet (and being often upside-down!) was unbelievably impressive. I started the day off by joining Meghann at a workshop with Gallim dance. 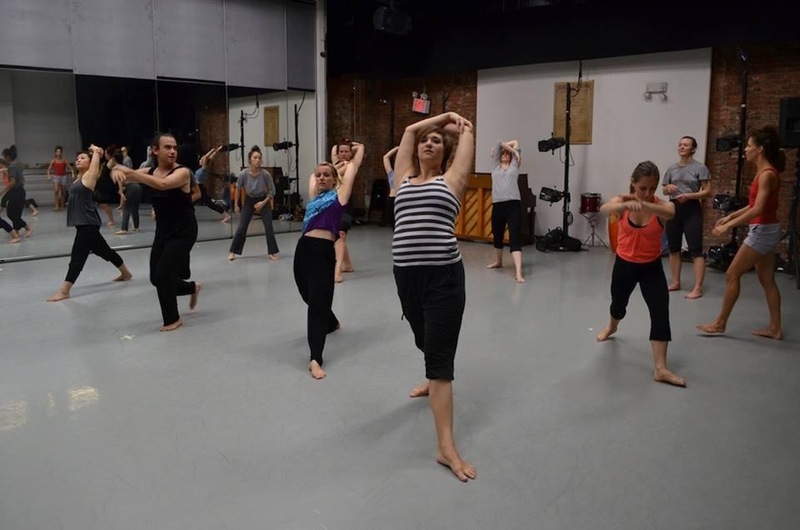 It was nice to get in the studio and move as well as be inspired dancing with some new faces. 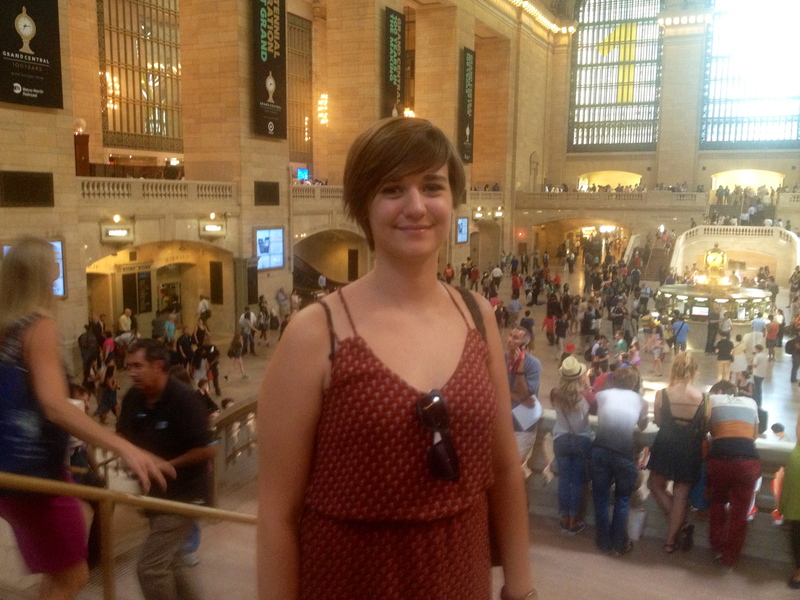 After class I headed to Grand Central Terminal for a free tour of the area. I absolutely love tours and this one was definitely very interesting. Dancing in the Gallim workshop. I then ran over to Bryant Park to meet up with another good friend of mine who is currently living in New York, Anastasia. We spent the afternoon sitting in the grass sipping coffee and catching up before heading up to 77th for some fantastic cream puffs. It was great to see Anastasia again after almost a year apart. The day finished with a trip to Queens to watch Meg’s first public presentation of her work since being out of school. I was so proud of her and love that my trip coincided with the evening. Such an accomplishment! We celebrated by heading out for drinks and dinner with her friends. Lots of fun but I quickly learned the lesson that high heels and New York do not get along. I commend any woman that wears them on a regular basis there. This was the official crazy tourist day and the beginning of Meg and me getting to explore together. Yay for long weekends! We started with a yummy brunch to fill us up for our long day of walking. One of my favourite things to do when traveling is to walk everywhere. I find it to be the best way to immerse myself within a new place. On the Top of the Rock! 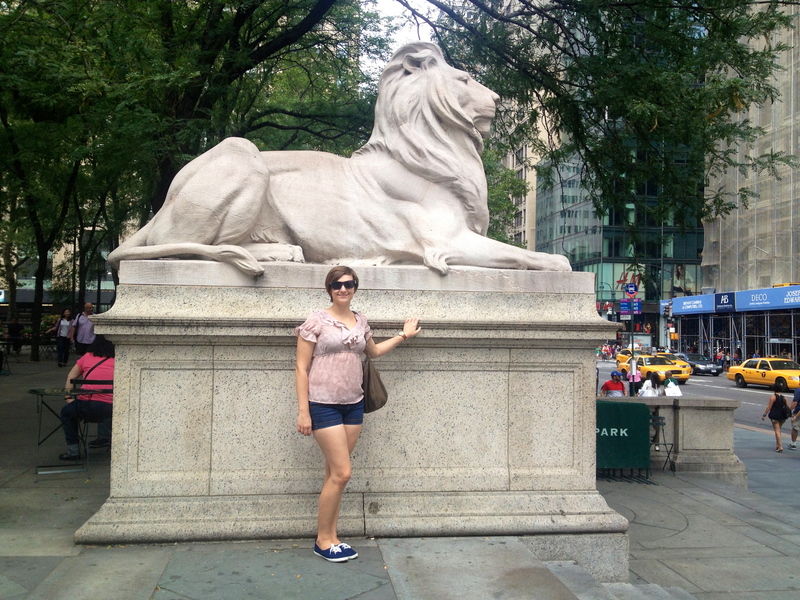 The first stop on our walking adventure was the New York Public Library for a pose with the Lions. We then headed to see Radio City Music Hall (oh how I dream of going back and seeing the Rockets there!) and Rockefeller Centre. 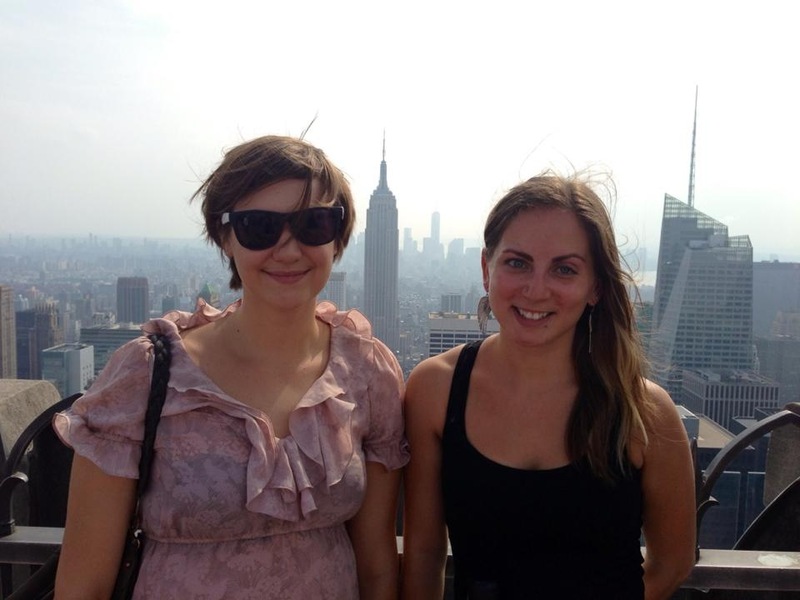 We decided to take the Top of The Rock tour and spent an hour up there checking out some stunning views of the city. 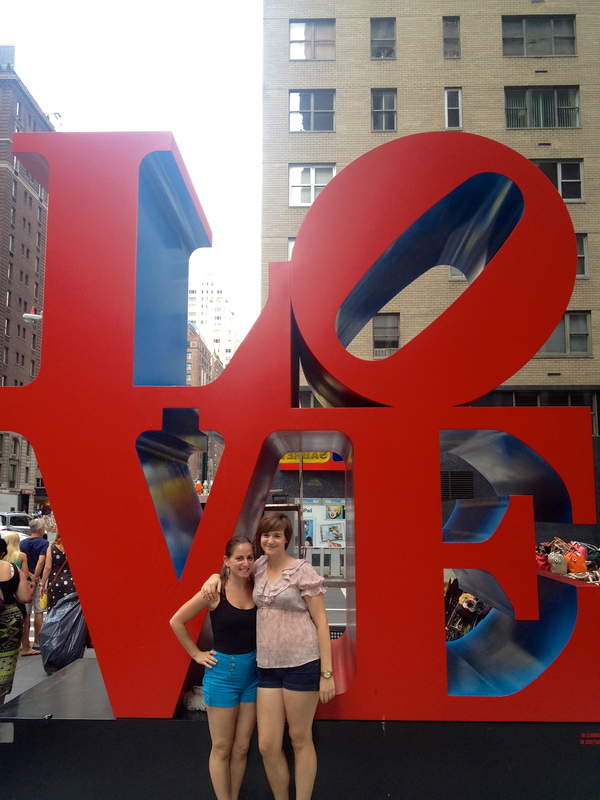 After making our way down, our trip of the area couldn’t be complete without a peak into the Lego store and a stop at the adored LOVE statue for a photo op. Next we headed south to gaze into the windows of Kleinfeld’s. We agreed that whenever one of us gets engaged we must make an appointment just for the excuse to walk inside. We finished the day in West Village with a dinner on an outdoor patio. It was a wonderfully relaxing way to end a very busy day. We skipped the big breakfast and saved room to try lots of tasty treats at the Williamsburg Smorgasburg and Flea Market. Oh my was it ever delicious! The list of delectables we tried included: a fresh lobster roll, quinoa falafels with coffee bbq sauce, maple bacon on a stick (if you ever see it, EAT IT! ), short rib tacos, a chicken bao bun, gourmet grilled cheese, fresh peach vanilla popsicles, iced coconut green tea and some of the most amazing doughnuts ever! We had them for dinner we were so excited! We also checked out some of the many vendors and both took a few special pieces of jewellery home with us. 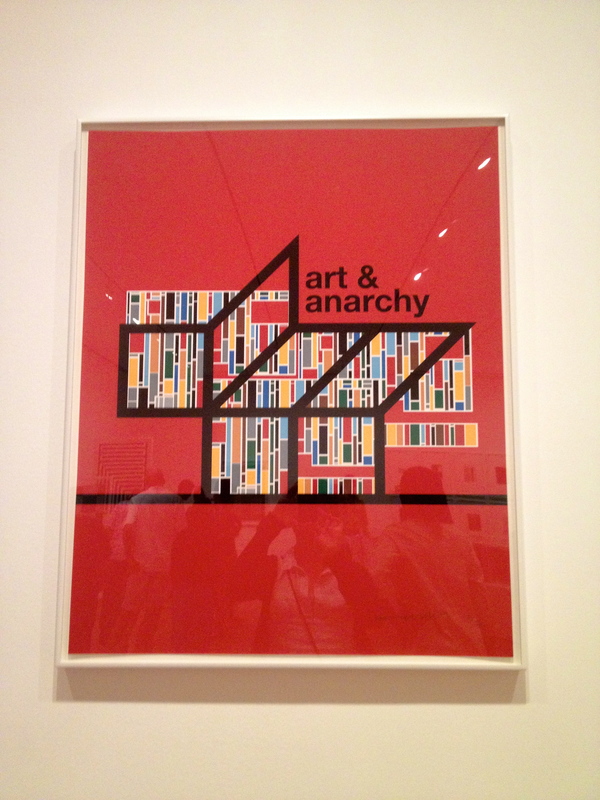 One of my many favourites from MoMA. On the final day of my trip we spent the afternoon at MoMA getting inspired. The six floor museum was a bit of a sensory overload to be honest. We both walked out feeling saturated with ideas. One of the highlights was definitely getting to see van Gogh’s Starry Night. 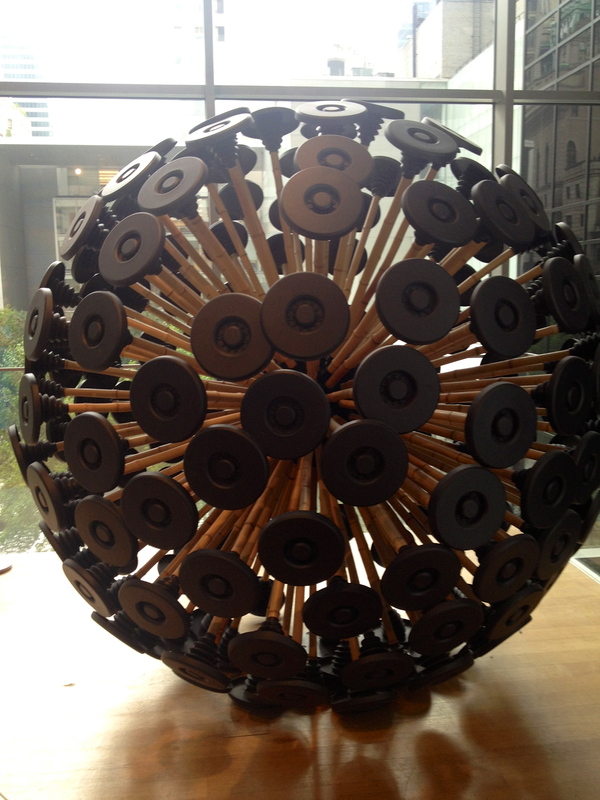 This piece helps efficiently find hidden mines. So much innovation. We then headed to the Shake Shack for dinner. Nothing like a fresh burger and crazy flavoured shake! We had some extra time to kill before our show so Megg showed me the High Line. One of the best things about visiting friends in other cities is that they know about some awesome places that you may never find yourself. 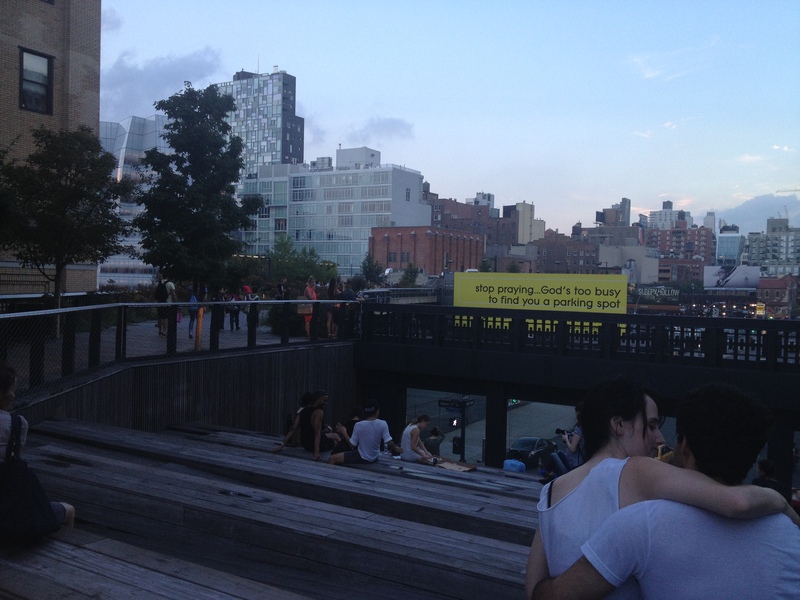 The High Line is an old railroad track that runs above street level along 10th Ave from Gansevoort St to 30th St. It has been converted into a public park/walking path. It is a surreal experience walking through plant life while gazing down at the hustle and bustle of New York City. One of the coolest parts was 10th Avenue Square where you can sit right above the street and watch the traffic run underneath you. Gazing over New York from atop the High Line. Rocking our Sleep No More masks. 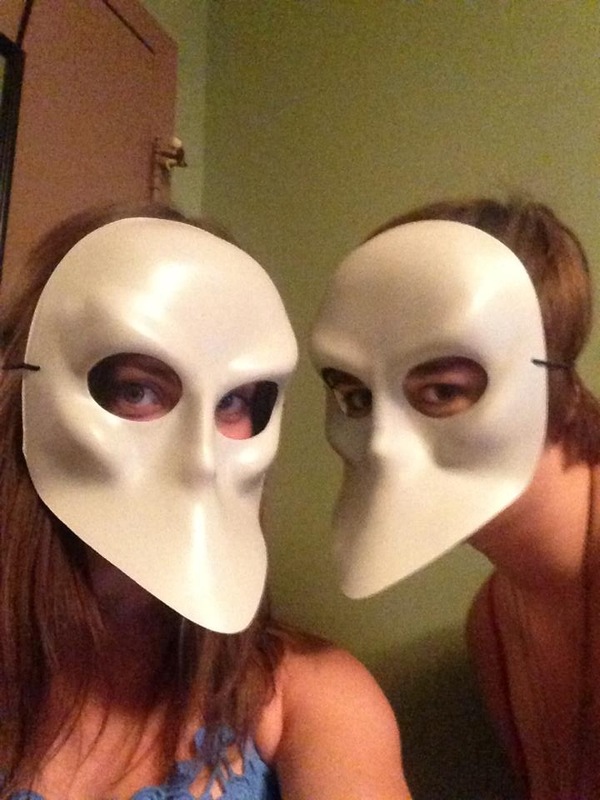 And then we went and saw Sleep No More. I could write for days about Sleep No More. Anyone who knows what I’m talking about is probably jealous. If you don’t know, you soon will be. Sleep No More is a durational piece which was orginally staged in London by Punchdrunk and is now being presented at the McKittrick Hotel in New York . It tells the story of Macbeth in a very abstract manner. Guests are given masks and invited to wander throughout the six floors of the hotel in which the piece is taking place. You can come and go (though why you would ever go I do not know) as you please and are encouraged to explore. The hotel is unrecognizable on the inside. It is like walking into an alternate reality. One moment you are walking through a cemetery, next you are in a ballroom and then in someone’s hotel room. You never know what you may come across for the characters are constantly changing locations and the set is one giant maze. I cannot think of any better way of ending my trip, other than maybe going to see it a second time. I might just have to go back just to get to see it again. ← When Did Customer Service Become Such a Battle?